Abstract: As the life pace speeds up, the traditional transportation can no longer satisfy people’s needs. Thereby, a new type of transporter came into existence–Airwheel electric self-balancing scooter. With the development of economy and improvement of our living standard, there are an increasing number of private cars. However, this traditional transportation will trap you in the heavy traffic instead of letting you get to your destination. By then, you have nothing to do but whine and sigh over it. Apart from that, more cars lead to rising gas emission, which brings a great deal of pressure to the air. Thus, Airwheel electric unicycle X8 came into existence, granting you a chance to experience the futuristic travelling speed at the moment. Despite all the convenience of traditional transportation vehicles like bicycles and electro mobiles, people are also troubled in many ways. For example, they don’t know where to park their bikes or when the battery goes out of power. As to cars, fast as they are, they consume too much energy and cause traffic jam easily. Plus, it results in serious environmental pollution. Isn’t there a transporter that is fast, convenient and yet environmentally friendly as well as cost-effective? Absolutely yes. 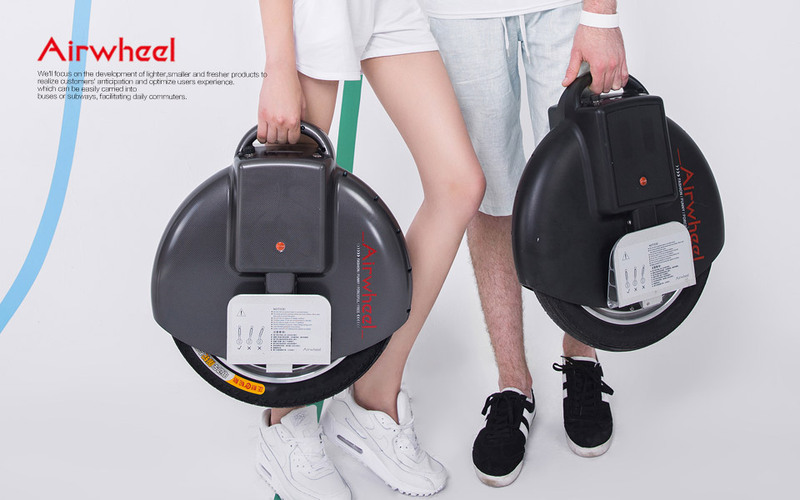 That is Airwheel intelligent self-balancing scooter. The Airwheel self-balancing scooter balances itself in the forward and backward direction by adopting aerospace attitude control theory, fuzzy software algorithm and gyroscope system. Riders can travel forward, speed up or brake by simply leaning forward or backward. For turning left or right, they just need to twist around their waists. It is actually very simple to get the hang of such a high-end Airwheel scooter. With just a little practice, they can master so miraculous a vehicle with ease. 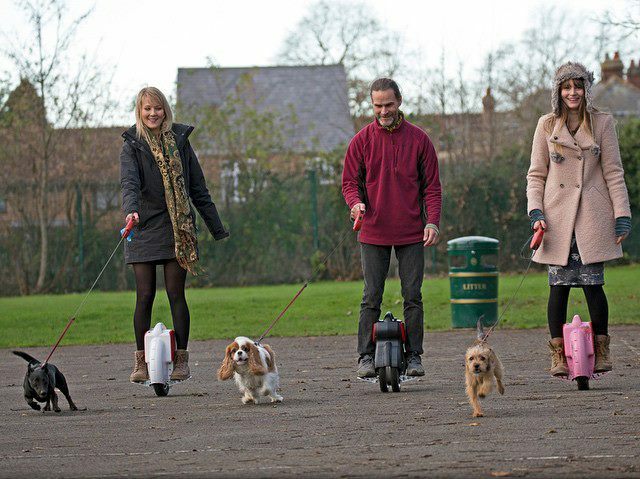 The Airwheel electric scooter, weighing only 11 kg, is able to travel 23 km continuously and reach a speed up to 18 km per hour, which provides great convenience for commuters. Whether you go to work or go to school, whether you go out for shopping or just an excursion, you can always carry the scooter with you. Moreover, the scooter can be charged anytime, leaving you no concern over the power issue. Of course, as a must-have in life, transporters shall be not only portable but endurable. To achieve that effect, the Airwheel scooters are outfitted with an enhanced body so as to resist impact, vibration and high temperature. Its battery, which won’t explode or combust, can be recharged for 1800 times, fully ensuring the journey security. The scooter outlook looks impressive and splendid in that it adopts unique carbon-fibre texture. On that account, the riders can definitely catch people’s eyes.